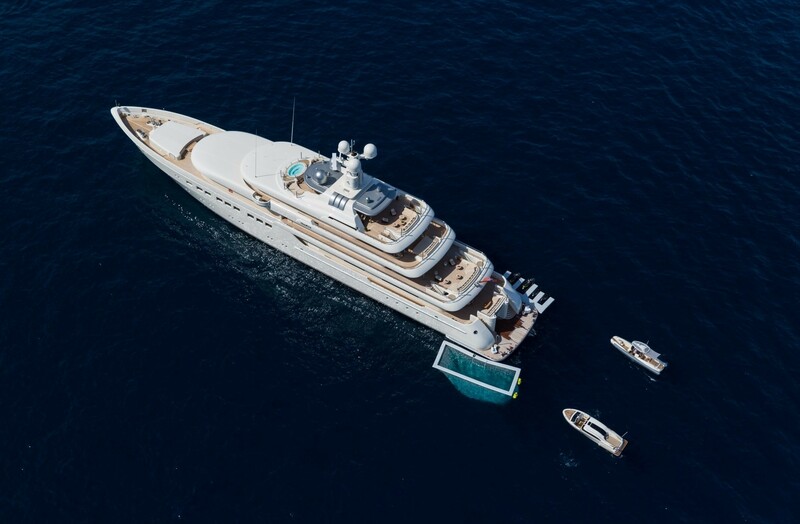 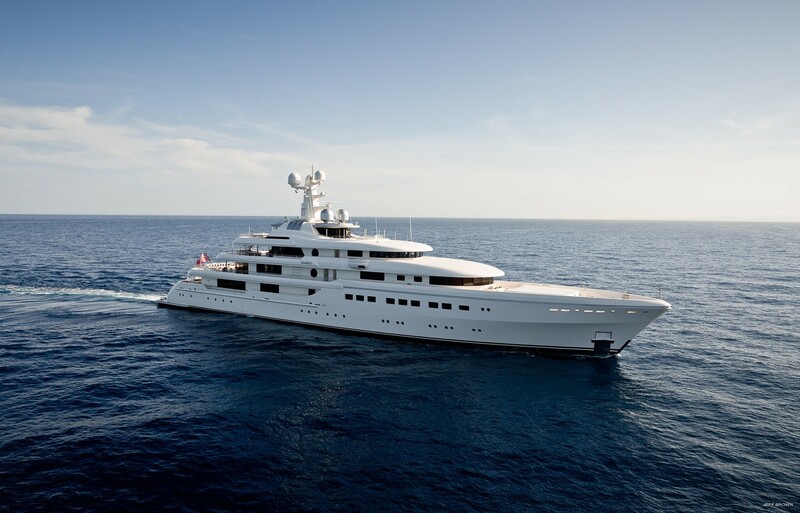 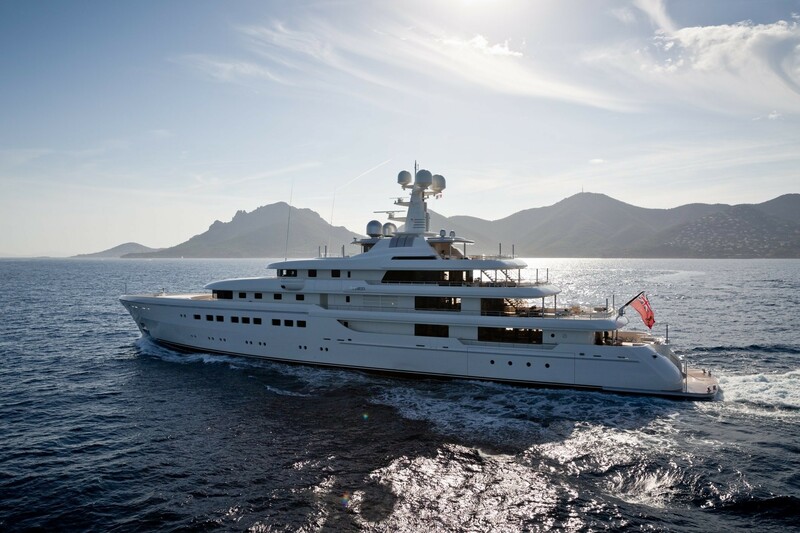 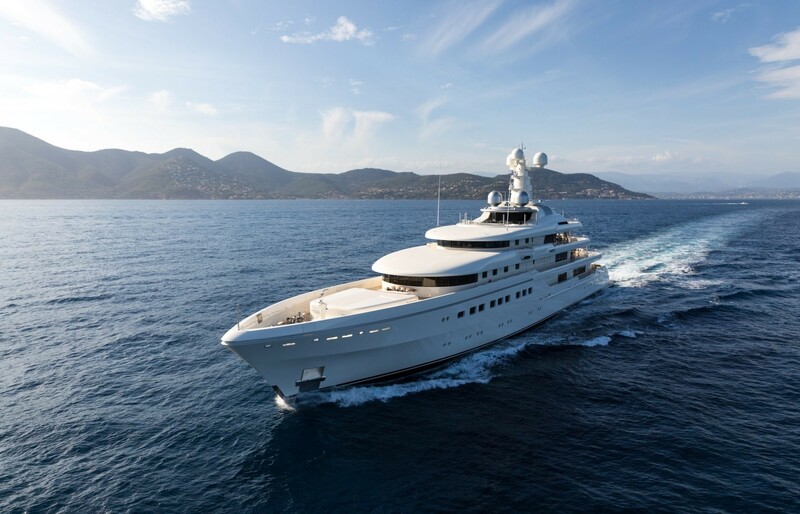 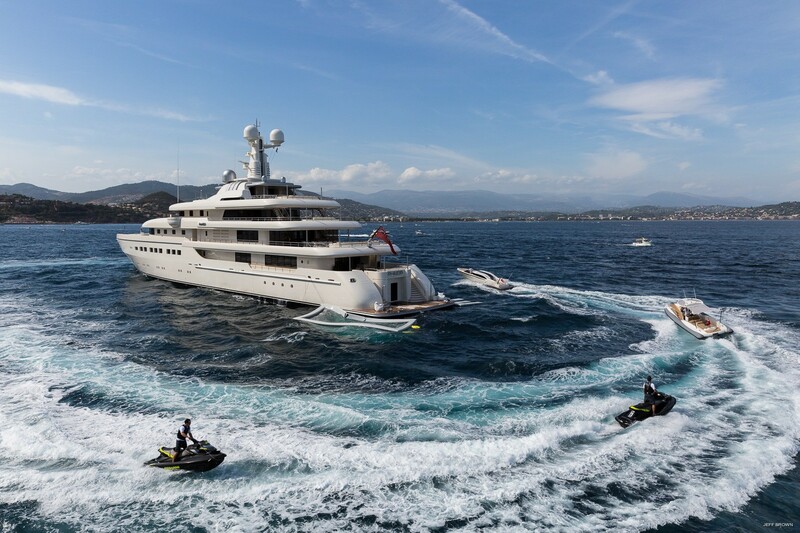 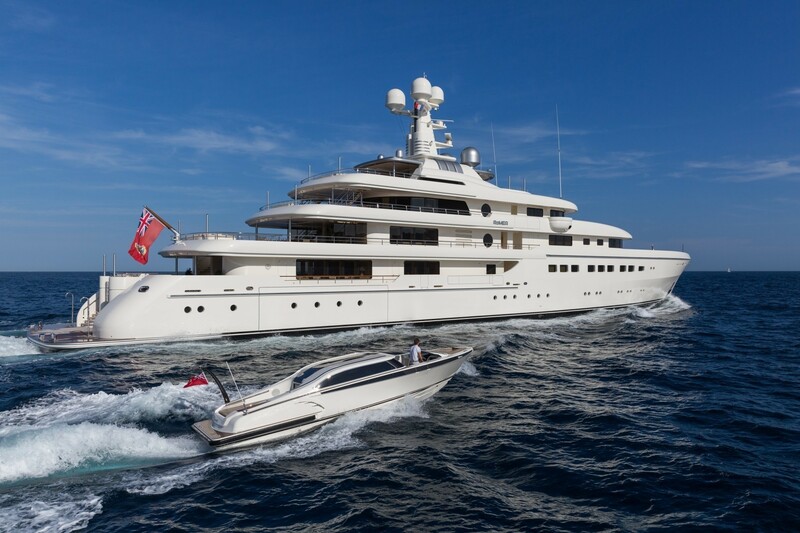 Built in 2015 by Abeking & Rasmussen, the 82m/268ft custom luxury charter yacht has naval architecture completed by the yard and features a steel hull and aluminium superstructure. 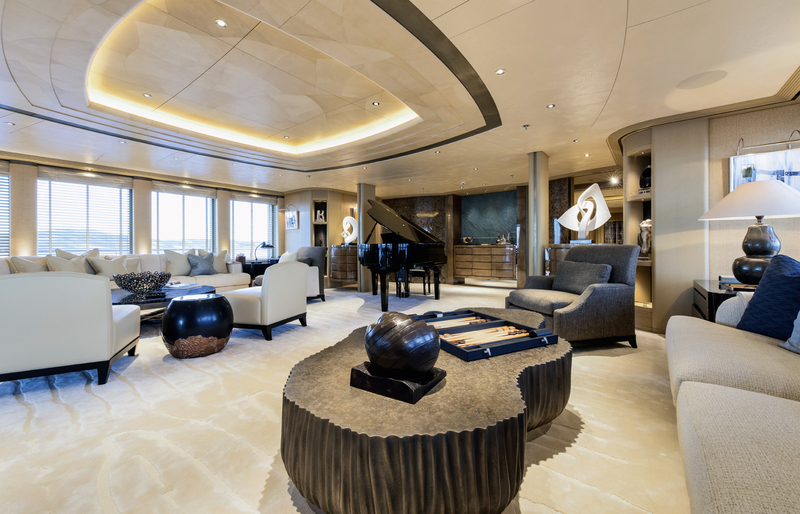 Terence Disdale completed her interior and exterior styling and her accommodation sleeps up to 12 guests over 6 cabins. 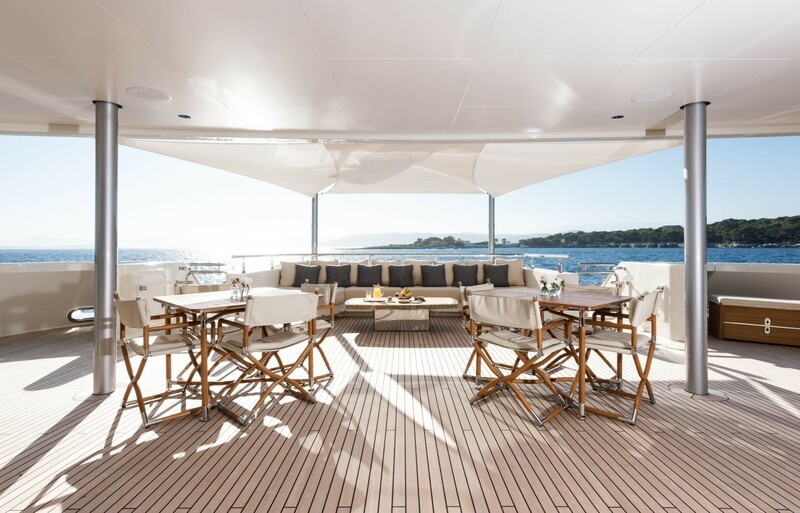 The main deck aft has two small tables and chairs and a plump stern-side sofa with raised table for alfresco dining and outdoor living. 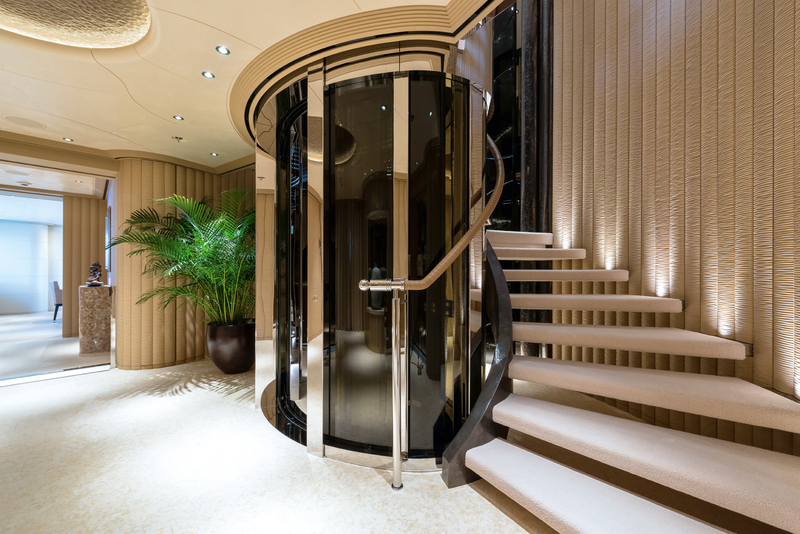 Two staircases lead down to the swim platform to offer guests easy access to the tender and into the beach club spa. 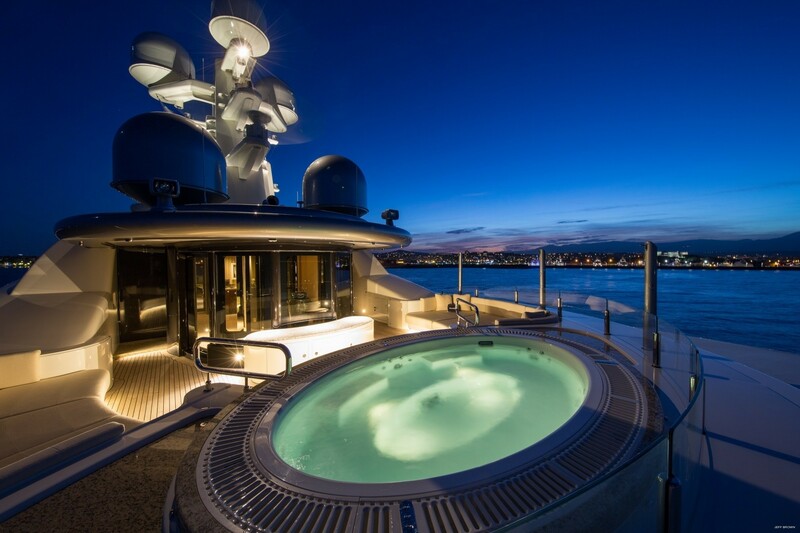 The upper deck aft has a lavish outdoor dining table to sit 12 for a memorable meal at sunset before carrying on the conversation on the stern-side seating consisting of a plush sofa and two tables with chairs. 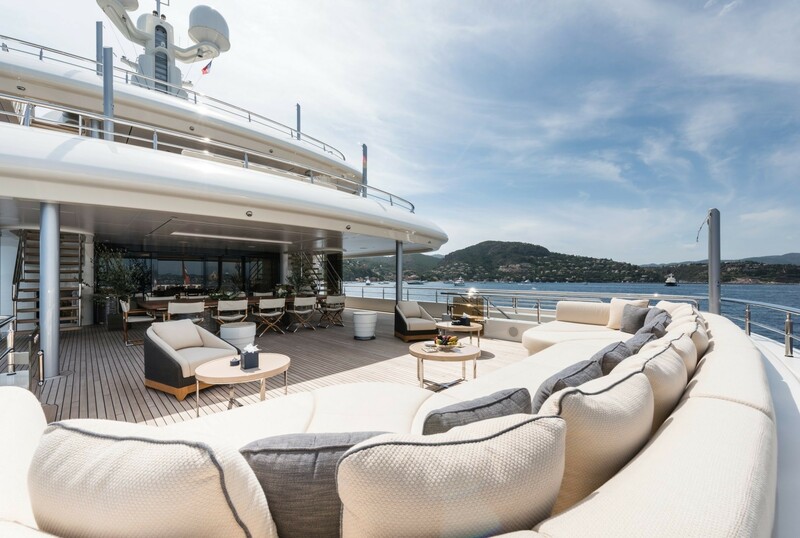 In front of the Master suite there is room for another seating and sunbathing area, with four sunloungers placed to take in the views and a settee for the group to sit side-by-side while admiring the view. 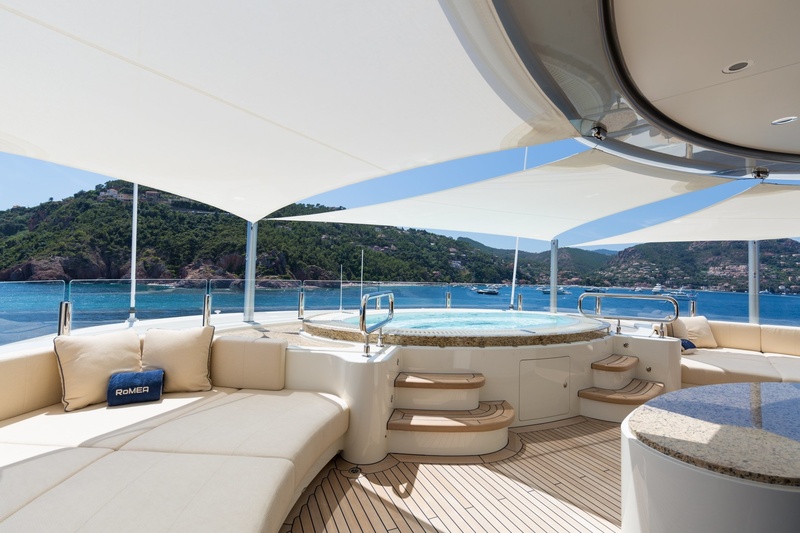 The bridge deck aft is exposed to the sunshine and makes a great alternative to the sundeck for lying out on the aft sunpads or taking drinks in the comfortable outdoor lounge. 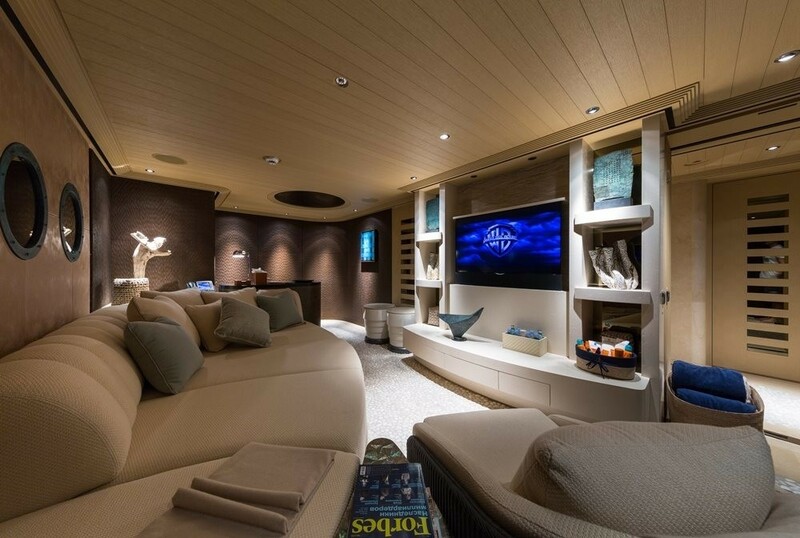 At night, the area becomes an outdoor cinema for family films under the moonlight. 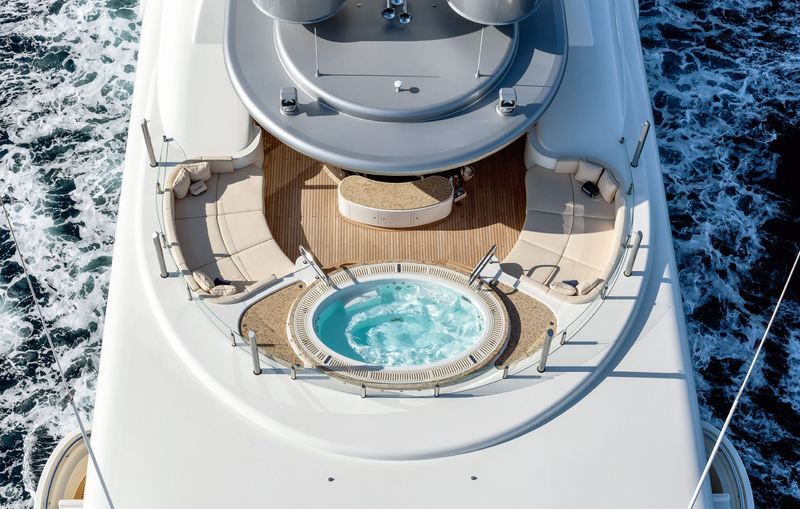 Above, the sundeck is divided into two sections with a forward Jacuzzi surrounded by sunpads while the aft section is dedicated to entertaining and has a split bar and an extensive C-shaped seating area for everyone to gather around and for a night of conversation under the stars. 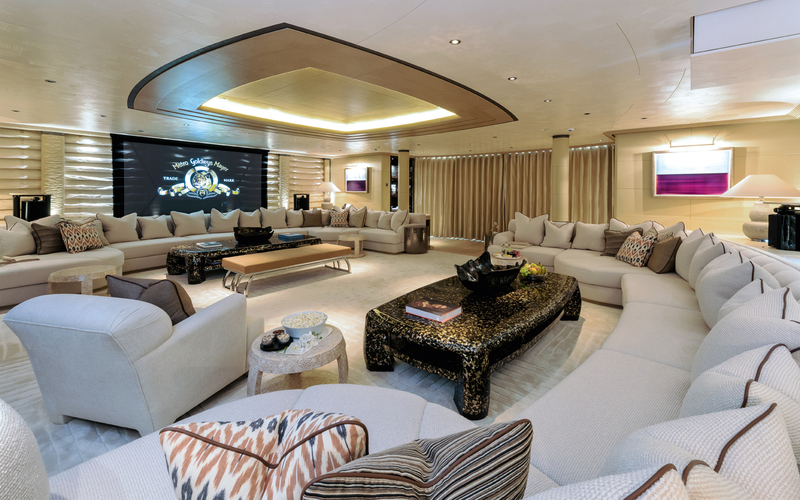 The tank deck layout is designed for crew facilities and performance and has stores, a laundry and equipment rooms. 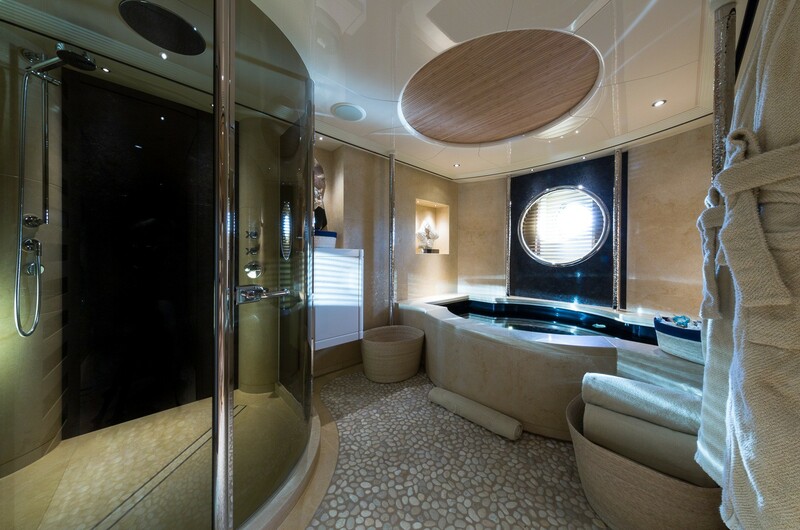 On the lower deck, the swim platform leads into the spacious spa lounge styled in natural tones and fitted with massage tables. 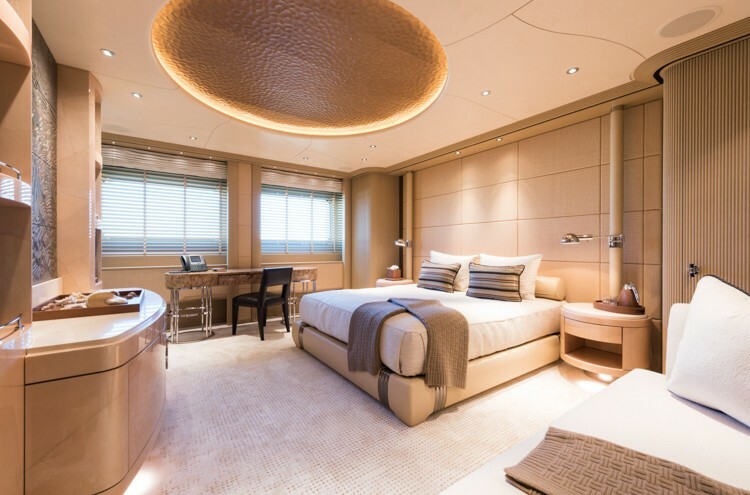 Through the engine room is the crew quarters, mess and lounge, placing the guest accommodation on the main deck forward for easy access to the lounges. 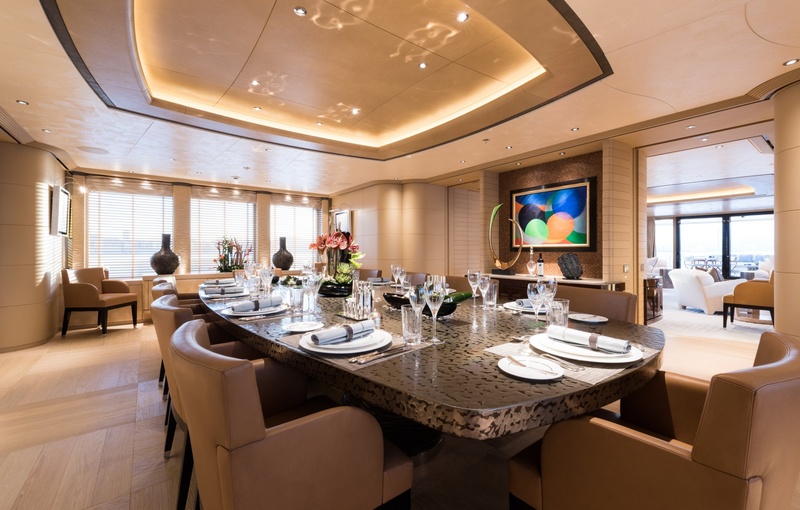 Behind the main deck foyer there is the stately formal dining area, within which up to 12 guests can share an intimate meal at the hand crafted table before sinking into the sumptuous sofas of the large main salon. 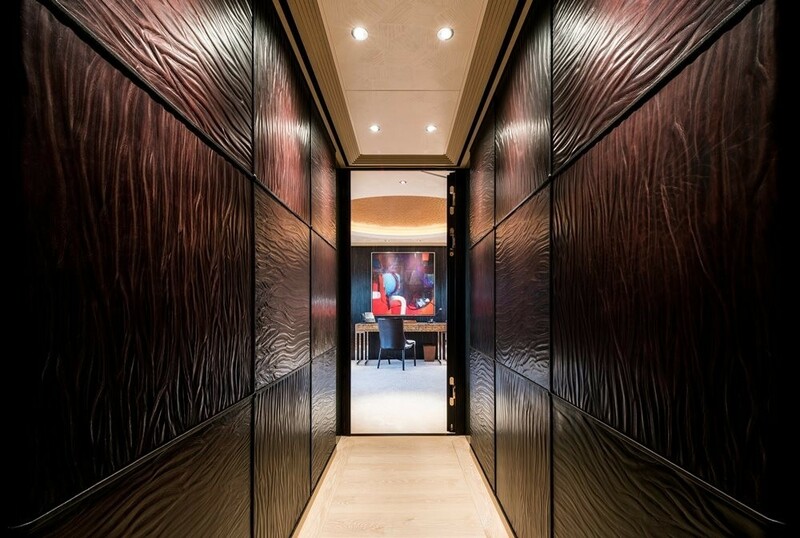 The port and starboard sides mirror each other and create two separate areas for guests to engage in their own conversations in the pale oak interior sanded by hand. 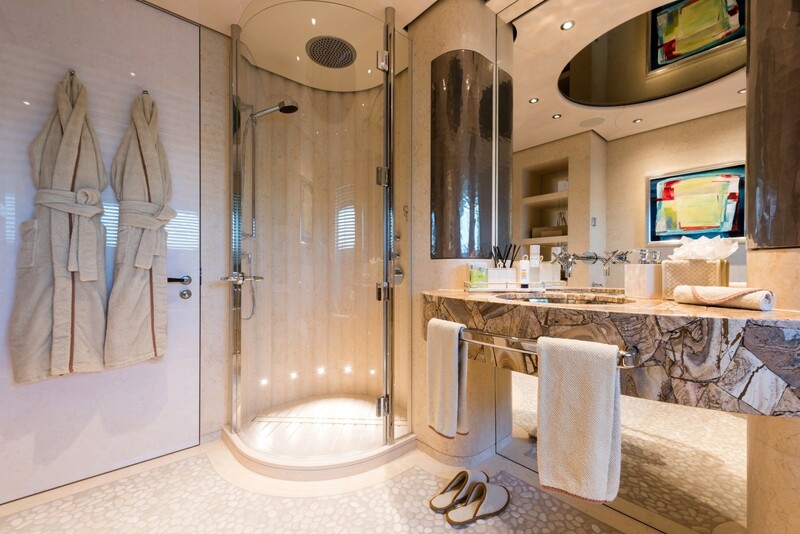 On the upper deck the Master stateroom commands excellent forward views and has an array of extras: His and hers bathrooms, a private office/study and an additional twin cabin that can be used by young children or staff. 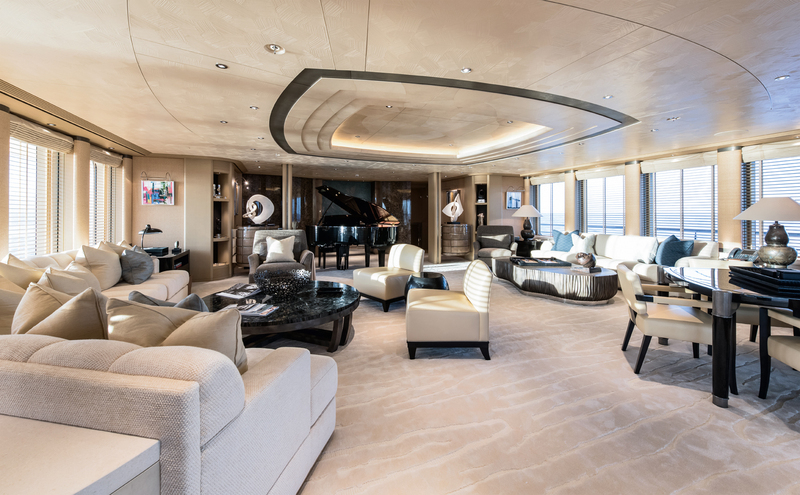 The skylounge can be used as a private retreat or shared with the other guests, and the glamorous room has a grand piano, two sitting areas and a games table. 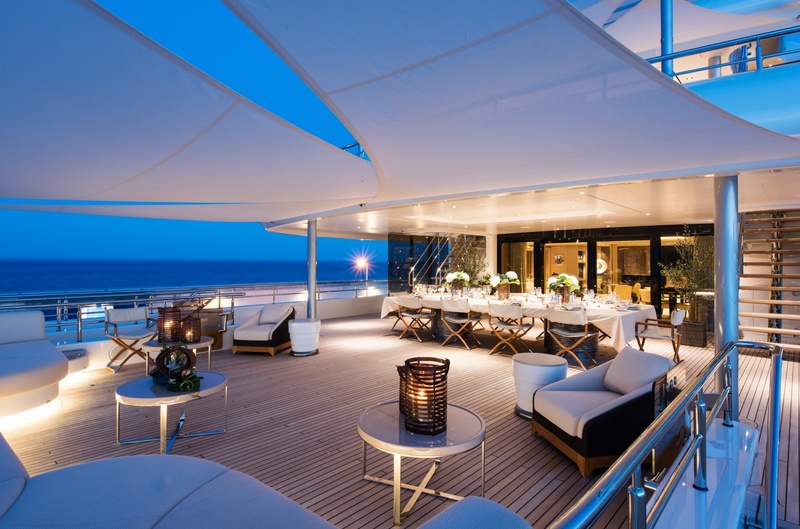 Full-length windows run along both sides of the room for excellent views and a recreational space filled with plenty of natural light. 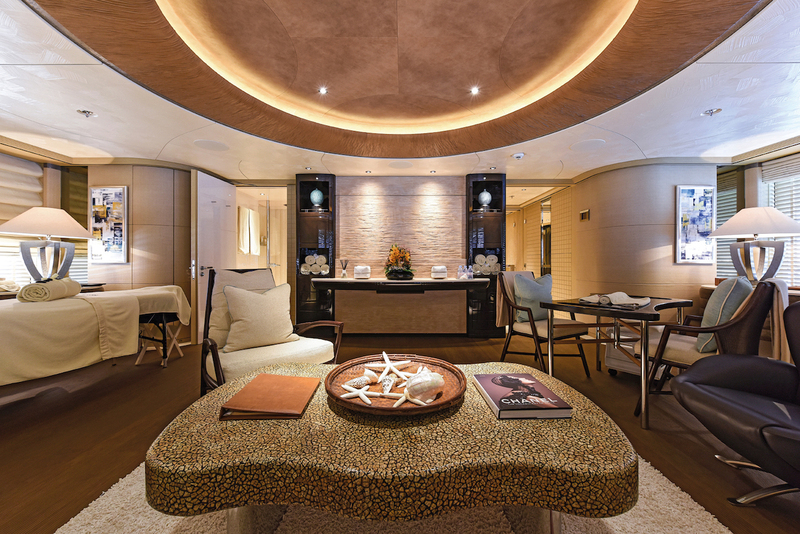 The bridge deck hosts the forward helm station and an aft gym and massage room as well as a beauty salon, both of which are styled in the same relaxing colours of the lounges. 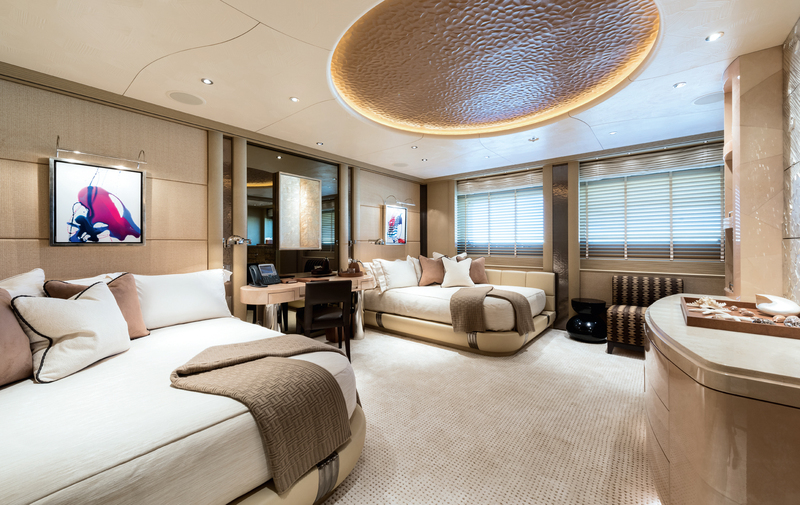 The accommodation sleeps 12 guests over 6 beautiful cabins: 1 Master suite, 1 VIP stateroom, 2 double cabins, 2 twin cabins. 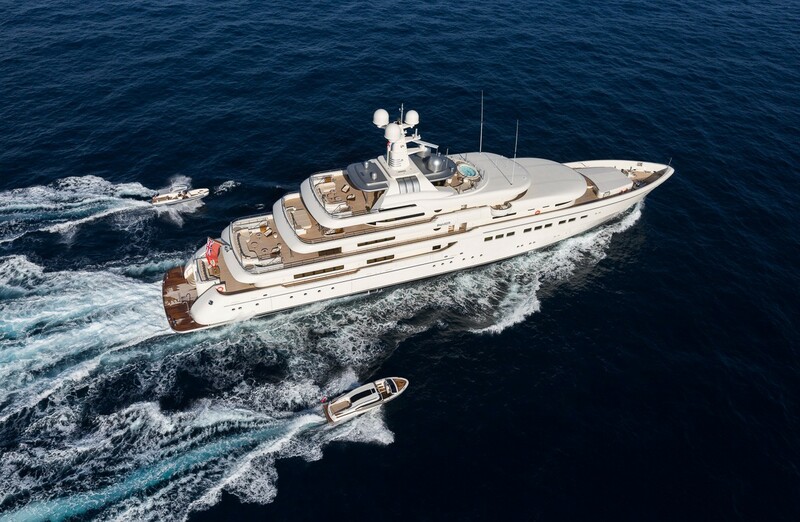 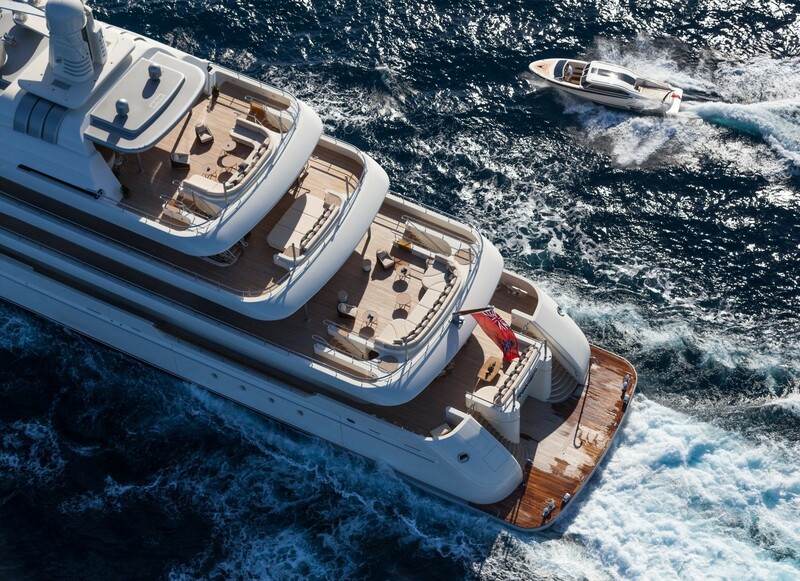 Her crew of 23 will ensure that guests receive first class service.